The Fall River Police Department is requesting the public’s assistance in identifying the following individuals. All are suspects in thefts from local businesses. UPDATE: The gentleman who is now crossed off in the above photos came into FRPD headquarters to clear his name. FRPD Detectives re-interviewed the store clerks and confirmed this gentleman’s alibi. 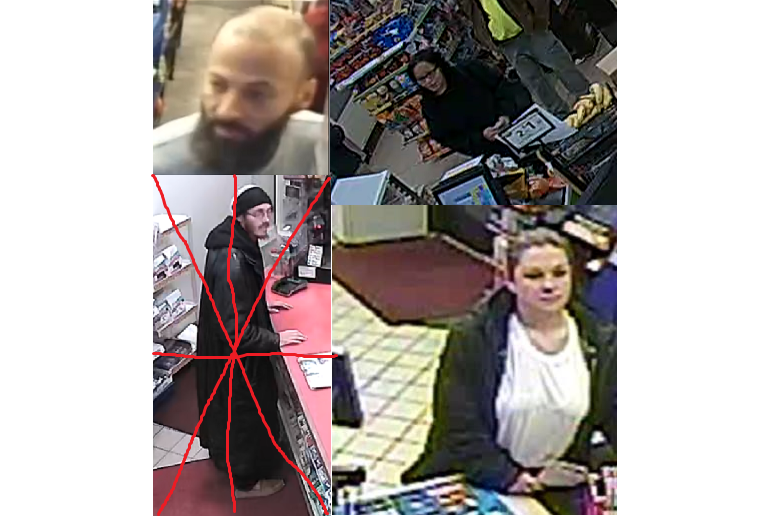 If you know anyone pictured here or if you are pictured here please contact Detective John McDonald, Detective Derek Beaulieu, or the MCD Supervisor at 508-324-2796. You can always call anonymously on the TIPS line 508-672-8477 (TIPS).